Emirates Islamic was launched in 2004 to deliver the highest standards of banking services in line with the highest standards of Shari'a principles. Offering a broad range of products designed for individuals and businesses. 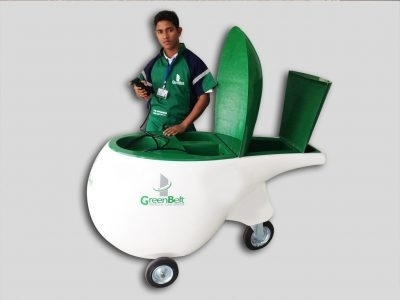 Established in the year 2009, Green Belt Car Wash has ever since grown and acquired a national presence in the UAE and Qatar. A successful company offering eco friendly and quick car wash with a staff capacity of almost 200 people currently. Al Ahli Driving Center is one of the leading driving institutes in the UAE teaching students safe and easy driving in accordance with the UAE roads and the Roads and Transport Authority (RTA) regulations. Beauty Palace is an all in one store for ladies fashion accessories and beauty products.The availability of every range of products for almost all beauty needs in Beauty Palace with affordable prices makes this a great accessories shop. Pizzaro is all about a truly authentic Italian cuisine with the finest & freshest Italian ingredients! Pizzaro pizzas are handcrafted and made-to-order dishes with fresh toppings and high quality ingredients for an authentic Italian recipe. Chaami Yadhoo serves the traditional Emirati Curdled buttermilk `` chami`` served with spiced clarified butter & date. The outlet also sells pure ghee, gift packets, chami gift items, desserts, popcorn, sweets, bottled juices etc in a clean space.